Out and about with the PXW-Z280. I have recently returned from a trip around Canada. 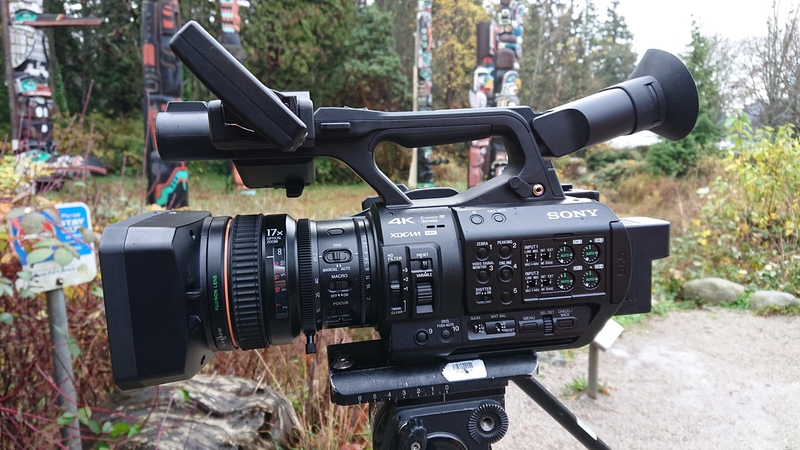 While I was there I spent some more time shooting with Sony’s new PXW-Z280 handycam camcorder. This neat little camera continues to surprise me. I used a pre-production sample to shoot parts of an airshow in the summer and it worked really well. It was so easy to use, I had forgotten how much quicker it is to work with a camera with a 17x zoom lens compared to a large sensor camera with a very limited zoom range or prime lenses. The Z280 uses 3x state of the art EMOR Stacked multi layer sensors. Each is full 4K, so you have full RGB 4K, unlike a single chip camera where the chroma resolution is much reduced by the bayer layout of the pixels. The 3 chip, full resolution design also means no aliasing in the color channels as is often typical of single chip designs. The color splitting prism is more efficient than the absorption color filters on a single chip design, so more light gets to the pixels. The multi layer sensors have very good on-sensor processing so even though the pixels are rather small you get good sensitivity, low noise and good DR. The Z280 is approx 650-700 ISO with the base gammas so very close to an FS7 with it’s standard gammas and the colors match an FS7 extremely well. The picture look really nice. From the testing I have done in the cameras dedicated HDR mode, where you can choose between HLG and S-Log3, with S-Log3 the DR of the Z280 appears to be around 13 stops, which is really quite remarkable for this type of camcorder. The sensor readout is very fast so rolling shutter is minimal. When you factor in the Z280’s f1.9 lens, compared to an FS7 with the Sony F4 zoom or many other zooms that are typically around F4 the Z280 with it’s f1.9 lens does better in low light and offers similar DoF when both are wide open. Of course you can change the lens on an FS7 and use a faster lens, but then you won’t have anywhere near the zoom range of the Z280. Like any small compact camera, it isn’t 100% perfect. 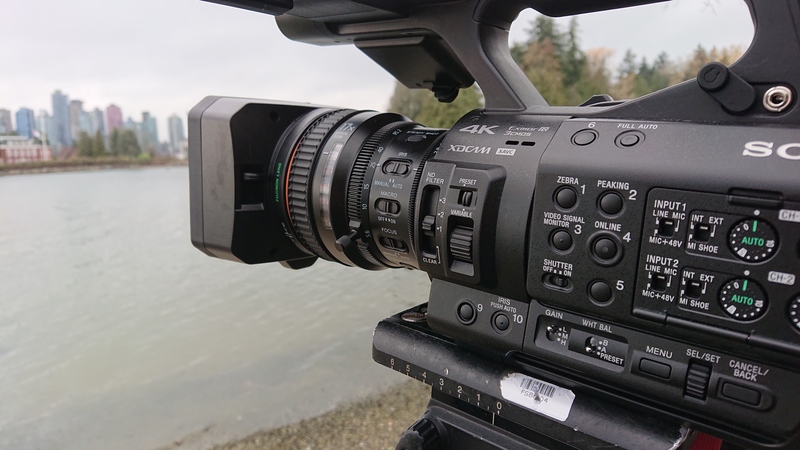 Overall the lens is pretty good for a low cost 4K zoom, but like many 17x zooms it does have a touch of barrel distortion when fully wide. As well as the LCD It has an excellent OLED viewfinder that is much, much better than those typically found on Sony’s smaller cameras. It has Timecode in/out and genlock, all the XAVC-I and L codecs as well as MpegHD. There is a full suite of wifi, LAN and network functions for streaming, ftp and remote control as well as the ability to offload files from the cards to a USB drive or memory stick without a computer. It’s a modern camera designed for the modern news or documentary shooter and a big step up in terms of image quality from the PXW-X200 IMHO. A full review and sample video will be coming in the very near future with lot’s more information. Previous PostAdobe still can’t get XAVC levels right!Next PostFilm Emulation LUT’s for S-Log3 and S-Log2. until I need one for a longer shoot to make it worthwhile to purchase. Why not work out your own presets? After all – you’re the operator, therefore you should be in charge of the look from your own camera. Otherwise you’re just copying Alister Chapman and that look might suit him but not you. Alistair, your thoughts on the depth of field? Alister, your thoughts on the depth of field?